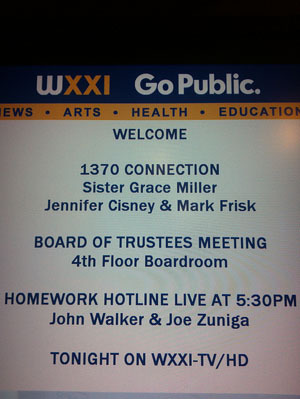 Yesterday I was very excited to be a guest on Bob Smith's WXXI radio show 1370 Connection. I was on the show with Mark Frisk to talk about business and social media in lieu of the upcoming Social Media and Communications Symposium at RIT on Thursday. It was my first time on WXXI so I wore the NPR shirt Aaron got me for my birthday specially. I am a big NPR fan - it's the first thing I turn on in the morning. I listen on the way to work and the way home, sometimes sitting in the office parking lot or my driveway to hear the end of story "Driveway Moment". I have radios in the kitchen, living room and bedroom so I can listen at home. I frequently catch stories I miss on the iPad NPR app. So as you can see, being an NPR geek this is one of my favorite t-shirts. 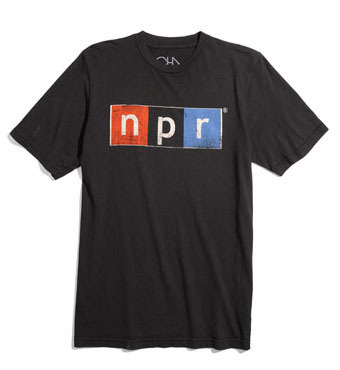 Apparently it's Justin Timberlake's too - check out this hiliarious article "Ten Speculative Reasons Justin Timberlake Might Be Wearing This NPR T-Shirt"
love the "naturally worn" feel to the logo. want!